More than 8 percent of American companies, ranging from tech and software to hotels and beauty parlours, allow dogs in their workplace1. A trend that started with big companies like Google is now permeating into other sectors and businesses. But is this movement solely an attempt to look “cool” and attract millennial employees, or is it actually a beneficial practice for the company and its workers? Every company is different, but for many, the answer is yes, it's actually beneficial. 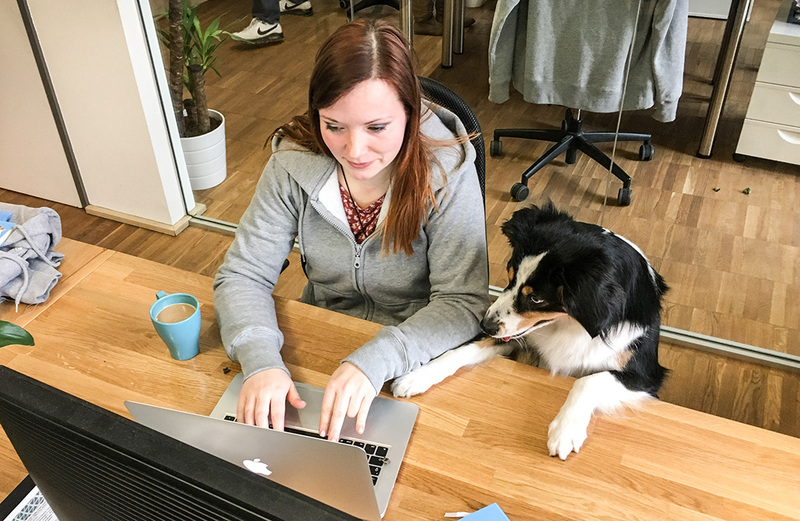 According to ​several studies​, having a pet-friendly policy does impact the level of stress, turnover, communication and overall health of company employees. 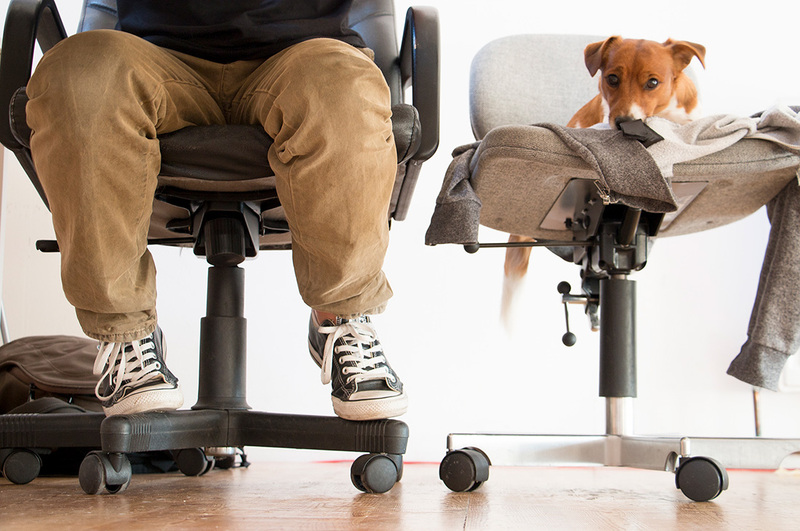 Studies have shown that workers who take short, frequent breaks during the workday ​“have more stamina and are more productive than the ones who don’t.”​ Having a dog around gives employees an excuse to take both a physical and a mental break during the day, that they may not take if they did not have a furry friend in need of fresh air. 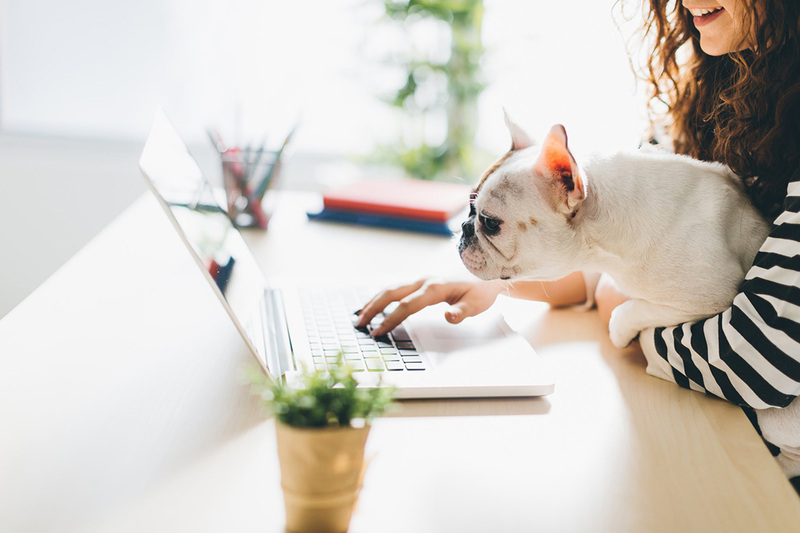 Employees of businesses with pet-friendly policies tend to work longer hours and have fewer absences​ since there is no need for them to rush home to walk their dog or stay there with a sick pet. 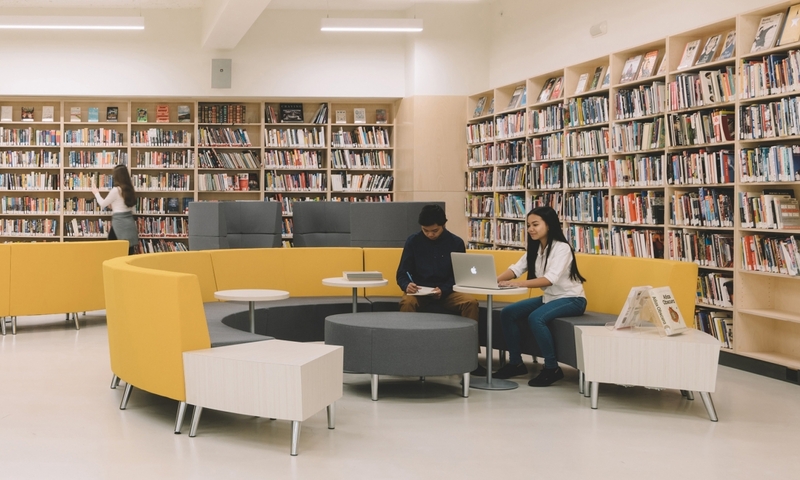 With this in mind, companies like Google have gone as far as including dogs in their official ​Code of Conduct​ and allowing supervised dogs to come to the workplace — especially since they often require their employees to stay at the office for long periods of time. 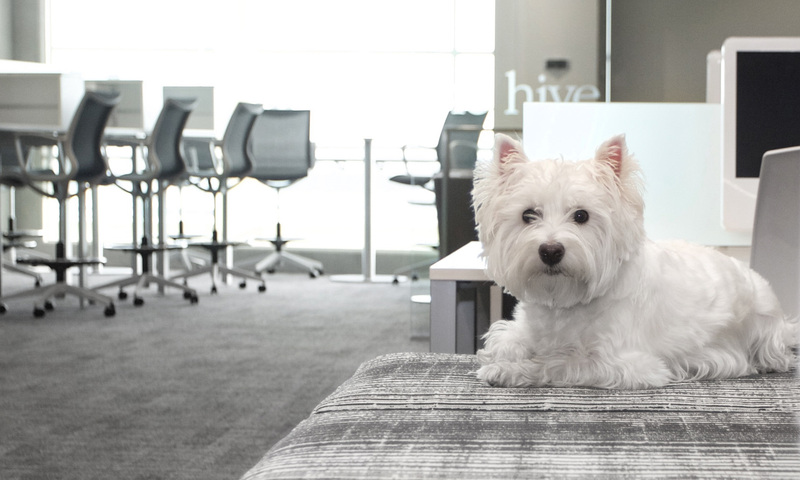 Offering a pet-friendly environment for employees can be a cost-effective way to add benefits, which increases company loyalty. ​According to the PAWrometer (Pets At Work barometer) survey​, “53 percent of employees who currently work at a company that is not pet-friendly were ‘more likely’ to stay with their company if it allowed them to bring their pets to the office.” Businesses like ​Build-A-Bear​ know this well and take things to the next level by throwing ‘puppy parties’ to celebrate dogs' birthdays and even offer a service that takes the pups off to a spa day with grooming and day camp. Talk about spoiling employees and their pets! According to a study published in Frontiers in Veterinary Science​,“ownership of pet dogs contributes toward the recovery from serious mental illness,” which is why companies like GoDaddy​ have pet-friendly policies. 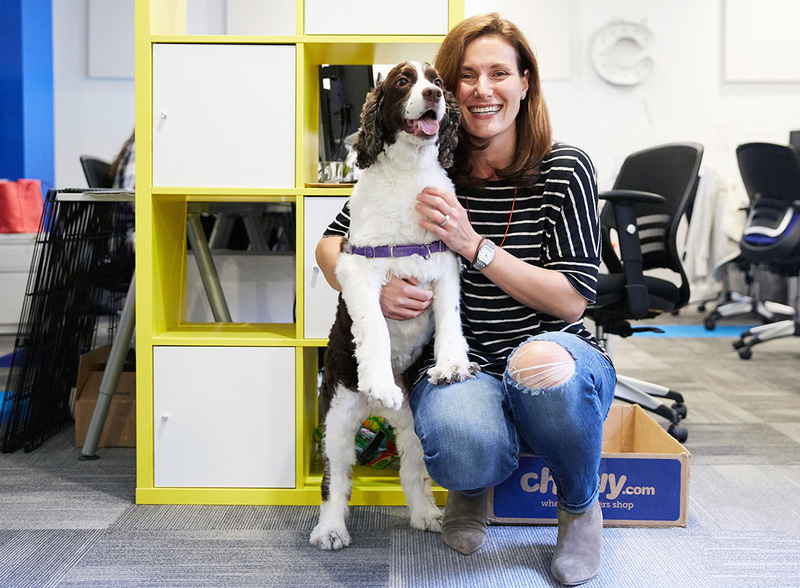 In fact, the web domains and hosting company uses dogs as part of their resources to help its employees care for their mental health — which is a good way of justifying having pups running around the office and making everyone happy. Dogs with aggressive tendencies should not be allowed to go to work — nor should dogs with health issues. One way to make sure this does not happen is by implementing rules of what is and what is not allowed in a pet-friendly office; Nestle, for example, has a three-step process​, which involves a detailed questionnaire about the pooch’s habits, two behavior assessments by an independent dog specialist and a health check. Another way to do this is to make employees sign an agreement — just like Build-A-Bear does with their “Doggy On-Boarding” agreement — which covers etiquette rules; if a dog breaches it, they are not allowed to go back to the workplace. It is important to be mindful of employees who do not like being surrounded by dogs, or the ones that are allergic. Some companies deal with this issue by segregating their dog-friendly areas. 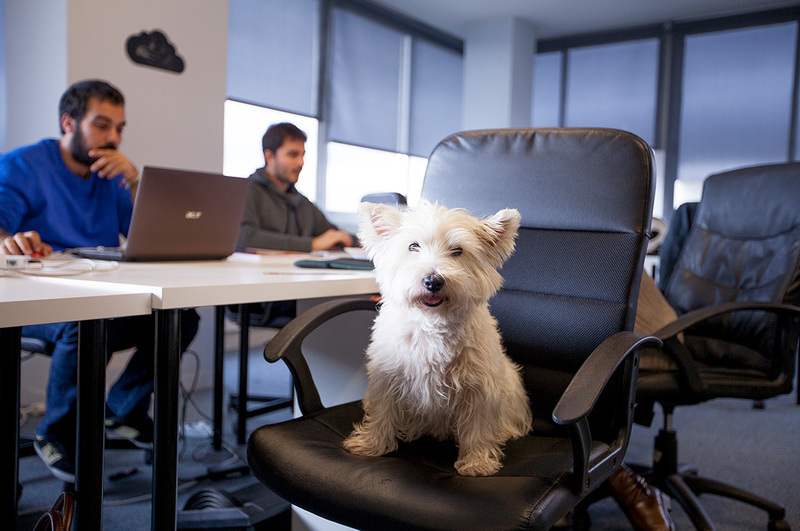 Salesforce, for example, only allows dogs in a designated communal room where up to six employees are allowed to reserve desks and sit with their four-legged friends. The rooms are equipped with everything a dog and its owner could possibly need, including water bowls, padded cages, dog beds and cleaning wipes; for everyone’s peace of mind, the rooms are soundproof.